Can’t stop, won’t stop. 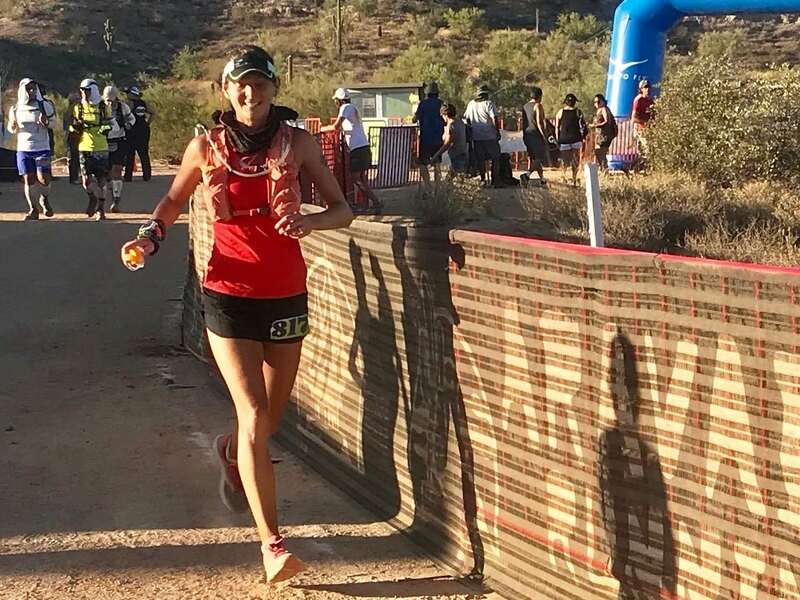 ‘This Week In Running’ rolls on with the results from the Javelina Jundred, but little else following a light weekend of top-class racing. Well, that went well. Patrick Reagan made his 100-mile debut with a sensational 13:01 first-place finish and new course record. Reagan, the 2016 IAU 100k World Championships bronze medalist, cut 29 minutes from Zach Bitter’s 2016 course record. Bitter was second in 13:52. Though off his previous course record, his 2017 time still ranks fifth in the race’s 15-year history. Brendan Davies (Australia) was third in 14:04, the race’s seventh-best run ever, and in what is believed to be a new Australian 100-mile trail best. That group of Reagan, Bitter, and Davies were together through six hours before starting to splinter. With Nicole Kalogeropoulos racing ahead early, Larisa Dannis kept her throttle on cruise control, and that proved to be a wise move. Kalogeropoulos dropped at 100k with injury, and Dannis stayed with it to win in 16:32. Again referencing the all-time charts, Dannis’s finish ranks fourth-best ever here. Second-place Dana Anderson went for 17:15, the race’s sixth-fastest ever, and third-place Stacey Buckley finished in 19:32. 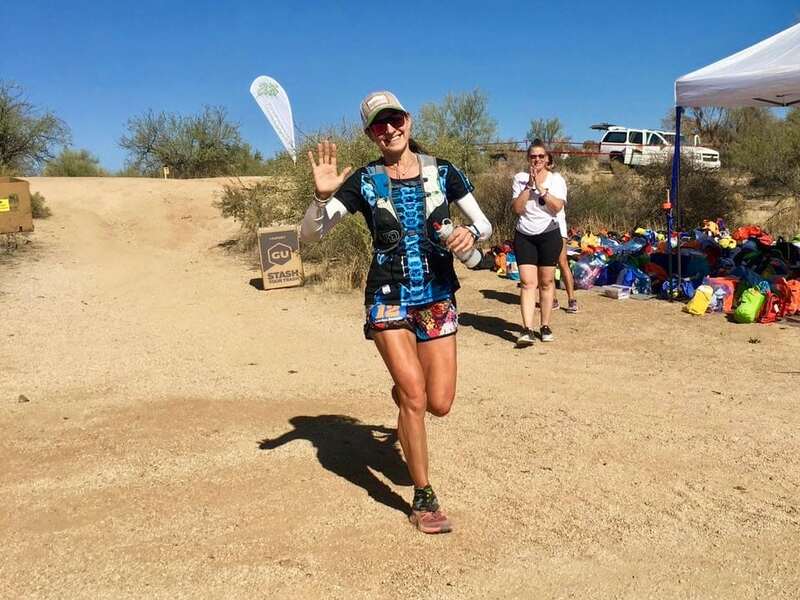 The Javelina 100k is on the same course as the 100-miler, but it only runs the first three loops–the first of which is 22.3 miles, and the second and third of which are 19.45 miles. Makai Clemons won the men’s race in 8:32, a new course record. Caroline Boller led the women, and finished second overall, in 9:34. Full results. In the San Francisco Bay Area, Scott Trummer won Inside Trail’s Oakland Hills Trail Run 35k in 2:43, and Megan Roche won the women’s race in 3:16. David Roche and Brook Braunschweig won the half marathon race in 1:34 and 2:05, respectively. Full results. 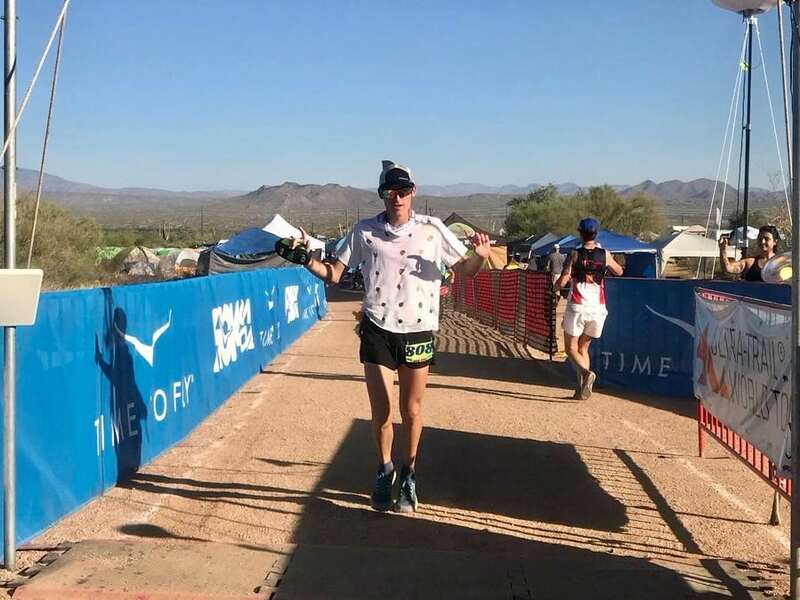 Ken Pliska is a former Olympic Marathon Trials competitor, and now at age 51, ripped a 3:38 run to win the Lake Hodges Trail Fest 50k in southern California. Women’s winner Carolyn Tallman ran 4:35. Full results. In Cincinnati, Ohio, Ted Bross won the Stone Steps 50k men’s race in 4:03, while Katie Ruhlman won the women’s race in 5:02. 50k course-record holder David Riddle won the accompanying 27k men’s race in 1:59, and Shari Hastings won the women’s race in 2:59. Full results. Ashley Nordell set a new overall supported FKT on the 165-mile Ozark Highlands Trail through Arkansas. Her time of 58 hours and 46 minutes betters the previous overall record, set in 2009, by Jenny Foster in 62 hours and 25 minutes. The McKenzie River Trail Run 50k took place in Oregon this weekend, and saw Keith Yanov win in 3:52. For the women it was Julie Frey at the top in 4:41. Full results. Its name explains the Chicago Lakefront 50 Mile/50k Ultramarathon pretty well, held on the Lake Michigan shoreline in downtown Chicago, Illinois. In the 50-mile men’s event, Geoff Burns won in a blazing 5:14 and Tera Moody took the women’s win with a course-record 6:20. In the 50k, it looks like Eric Eckerman won for the men in 3:40 and Ulana Stasula won the women’s race in 4:39. Full results (when available). A technical marathon-distance run held along South Africa’s coastline, the Otter Trail Run was won this year by Christiaan Greyling in 4:13 and Meg MacKenzie in 5:01. Full results. 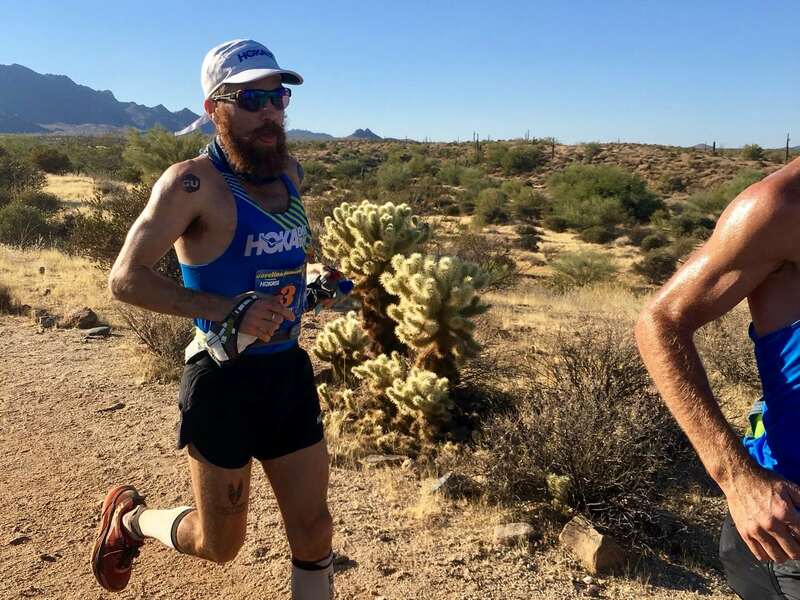 Although the Javelina Jundred was part of this year’s Ultra-Trail World Tour, the final 2017 ranks had already been decided. Thanks to wins at the Madeira Island Ultra Trail and the UTMB, François D’haene was the men’s champ, and though just two races could score in the annual UTWT contest, Andrea Huser (Switzerland) raced six UTWT events and was the 2017 victor. She finished second at Transgrancanaria, first at the Madeira Island Ultra Trail, 10th at Western States, first at the Eiger Ultra Trail, second at UTMB, and first at Diagonale des Fous. The 2017 Ultra-Trail World Tour concludes with the December 2 Ultra-Trail Cape Town 100k in South Africa. East Coasters, who do you have on top for next weekend’s 35th annual Mountain Masochist Trail Run 50 Mile? Full entrant list. California’s Rio Del Lago 100 Mile looks good next weekend too. Look for Chikara Omine, Joe Uhan, Dominick Layfield, and Sarah Schubert to be among the top entrants. Is there anyone else we all should be watching? Full entrant list. Was there really that little racing this weekend? Fill us in on all of the regional-level racing not highlighted above. Thanks! Tom Evans (3rd Male UTWT 2017 Rankings) ran 02:26:04 at the Frankfurt Marathon yesterday. The inaugural Allison Woods Halloween Hobble was held in Turnersburg, NC. 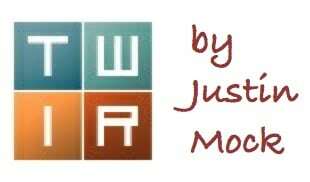 Trail race – options 6/12/24h and 100 mile. Course ~4 mi laps. Drew Coombs RD. Great race day organization & volunteers, low-key, fun & super-supportive vibe. Course went through woods with some fall color. Mostly shaded with the exception of the grass landing strip (where the start and finish is), which you run part of. Course includes running by a lake, a waterfall, a rock formation, and bamboo bigger than I’ve ever seen. Set up so you are never more than 2 miles from start/finish and there’s an extra aid station at mile 1. A great big thanks to the entire Aravaipa Team, what a great weekend! Looks like Geoff Burns ran 5:14:25 at the Chicago Lakefront 50. I think that’s the fastest 50 miler of the year and maybe of the past few years. Flying for sure AJW. Geoff split 5:02 at last year’s Mad City 100K as well. Pinhoti….you forget about the south? :-) best fall 100 in the south hands down. Man, this is going to be a great weekend of cool weather for Pinhoti too. 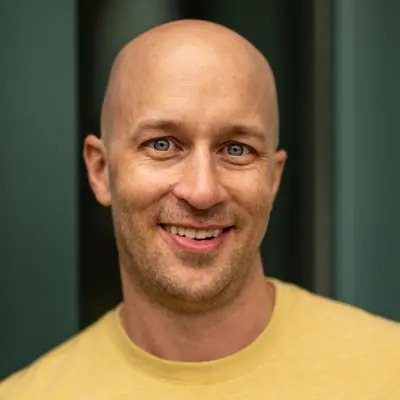 Looks like a great field as well with both you and Aaron Saft, Karl. Also, Lauren Mitchell and Beth Meadows who seem super versatile. Looks like they’ve both killed it at Strollin Jim, with Beth having a solid Pinhoti finish. Watch out for Liz Canty at Pinhoti, as well. Another contender for Rio Del Lago 100 this weekend is Franz Van Der Groen. He (IIRC) overtook Chikara Omine in the final mile to take the win at Miwok 100k in May.